The sanctioned amount of Rs 16,000 crore does not include any expenses incurred or to be incurred for the buyback like filing fees, advisory fees, public announcement publication expenses, printing and dispatch expenses, and other incidental and related expenses, the company further added. 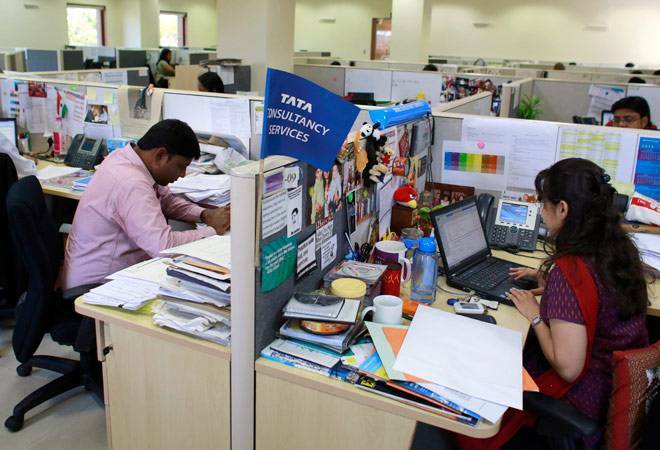 IT firm Tata Consultancy Services (TCS) announced Rs 16000 crore share buyback plan on Friday. This share buyback scheme will see 7,61,90,476 equity shares of TCS being bought back by the company for Rs 16,000 crores at Rs 2,100 per equity share. TCS has proposed to buy back its equity shares under the tender offer route. Last year in May, TCS had undertaken a Rs 16,000-crore buyback offer entailing around 5.6 crore equity shares at a price of 2,850 per scrip. We find out how the buyback would affect the financials of the company. The buyback will be over and above Rs 29 per share final dividend declared for 31st May FY18. This implies that the company will return Rs 27,100 crore cash to shareholders during FY19. Post buyback, the outstanding shares would reduce by 2% and return on equity would improve by 5%/4% in FY19E/FY20E. Further, earnings per share is expected to increase by more than 2% at Rs 77 (75.3) and Rs 86 (84.7) for the same period, respectively, according to Geojit Research team. According to a note by HDFC Securities which measures the impact of the buyback on company's finances, "Promoter holding stands at 71.92% and the promoters had participated in the previous buyback of Rs 16,000 crore at Rs 2,850 per share (pre 1:1 bonus). The brokerage sees profit before tax impact of -2.3% on lower other income and expects neutral earnings per share with 2% reduction in equity share capital. It also sees return on equity (ROE) to improve by 200 bps. " It has recommended tendering of shares (Rs 2,100 implies 25.5 times FY20E - historical peak valuations). Brokerage Motilal Oswal in a note said, "The buyback should result in 2% accretion to EPS from a reduction in the share count. However, the cash reduction would result in a decline in other income, which is dominated by a yield of 8% on a pre-tax basis on the cash. Other income foregone would be to the tune of Rs 1200 cr -1300 cr, which would result in an adverse EPS impact of 2.5%, implying net EPS decline of 50 basis points. However, given the reduction in networth, the RoE is likely to improve by 2 percentage points." Madhu Babu from Prabhudas Prabhudas Lilladher said, "The buyback quantum indicates that TCS would buyback 2% of equity shares. TCS has net cash of Rs 47,700 crore on balance sheet as on 4QFY18 and hence would be spending 33% of cash on balance sheet for the buyback. We note that 15% of the buyback would be allocated for retail ( lesser than Rs 2 lakh in value) as per Sebi norms. TCS has 32.9 mn shares in this retail category as per annual report 2018 (value less than Rs 2 lakh). We note that TCS is buying back 76 mn shares. This implies that 11.4 mn of shares would be allocated for retail in buyback. Hence, this indicates 35% acceptance ratio assuming all the shareholders in Retail surrender. Assuming promoter and institution surrender all shares, Institutional acceptance would only be 1.7%. We note that promoter will participate in buyback similar to last year. The buyback would be beneficial for the promoter group and retail category in my view. Post TCS rally today, stock trades at 23 times FY20E EPS which is now at 5% premium to Accenture."